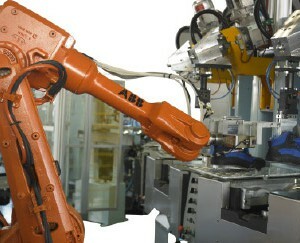 NOWADAYS ATOM IS LEADING COMPANY WORLDWIDE FOR THE PRODUCTION OF CUTTING SYSTEMS FOR SOFT AND SEMIRIGID MATERIALS. 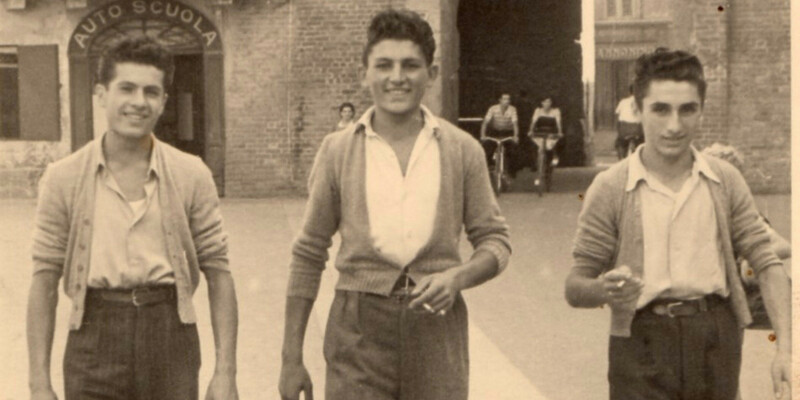 A story grown in the heart of mechanic-shoe district based in Vigevano. sports accessories, medical, furniture, visual communication. 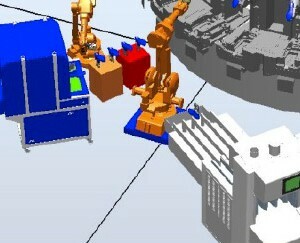 the production reached more than 250.000 machines sold worldwide. 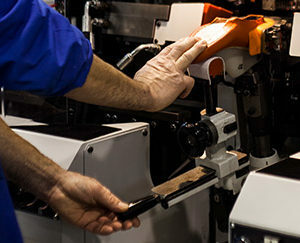 reaching 4 production units and 9 subsidiaries worldwide. Thanks to the solidity of its business model and growth strategy, Atom Group has entered the prestigious international ELITE program, promoted by Borsa Italiana. Together with other companies with high growth and innovation potential, Atom Group can thus access business and networking opportunities to increase their international competition. 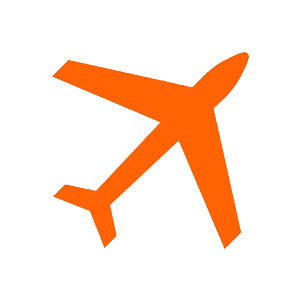 Born in 2012 as a program to support the best Italian companies, ELITE now has over 700 companies from 26 countries, 150 partners, over 100 investors and 7 of the best business schools in the world. Main Group entered Atom sphere in 2009. 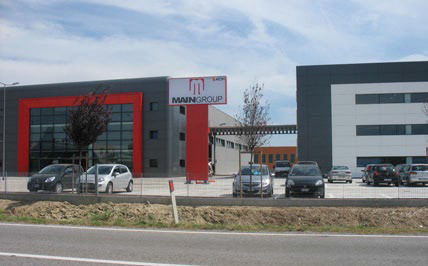 Main Group has always represented the reference technology for injection in footwear industry. Its technological solutions based on state-of-the-art machines allow to meet new and different market exigencies, from an economic aspect as well as a production update point of view. Shoemaster® offers an innovative range of 3D and 2D CAD/CAM systems for shoe design, production and costs control, custom-made shoe engineering, as well as solutions for the leather goods market. Shoemaster® is modern, innovative and always looking to the future. 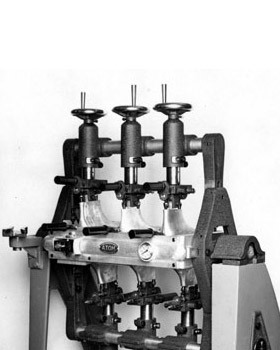 The aim of Atom MB technology is to offer machines which automate and simplify the operations of pre-lasting and lasting of the shoe, with the help of a user friendly programming, respecting the quality of traditional shoe-making. It represents Atom research lab, a true ‘factory on demand’, which develops technologies and avant-gard projects, to create new production methods. Atom Lab always stays close to customers in order to develop innovative systems and products for the market, able to grant efficiency and competitiveness. 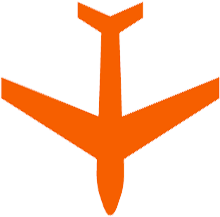 It represents Atom technical division which studies new products and new technologies to be put on the market, according to the specific requirements of each application. Atom Engineering takes care of designing and developing new machines for industry, one of Atom most successful factors worldwide. Atom is established by three young entrepreneurs, Luciano Deambrosis, Lorenzo Gaia and Emiliano Cantella, who share the same values and vision of the future. At first Atom starts as a subcontractor and spare parts workshop to become an international leader in cutting systems in a few years. 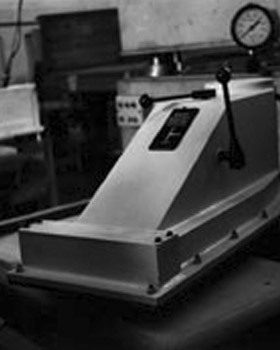 Atom focuses its production on the vulcanizing machines for rubber shoes. 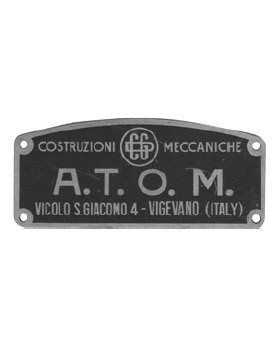 Atom is the first Company to offer reliable cutting presses made in Italy. 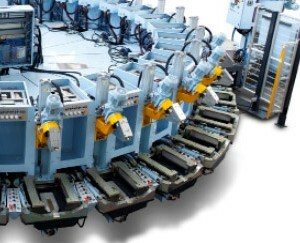 In particular, Atom starts manufacturing oildynamic cutting machines, being a new product with really high competitive chances. 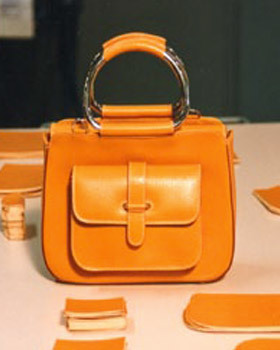 They are so adaptable and versatile to be suitable also for different sectors, such as leather goods. Just after 12-year-activity Atom is recognized as one of the most important and well known international companies in the sector of cutting machines. Atom increases its production passing from 4 to 196 units, enhancing international market penetration and starting to outline its export-oriented-attitude, which will get stronger and stronger in the coming decades. 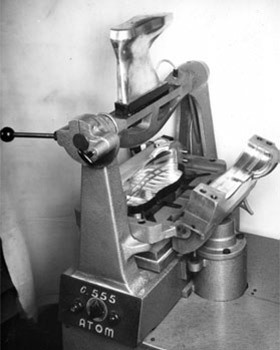 Atom confirms as leader in the production of cutting presses, which are still today the corporate icon all over the world. 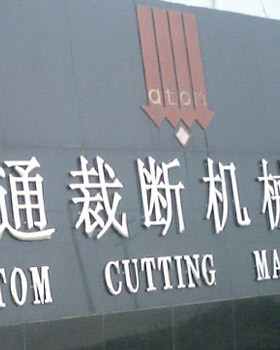 Atom focus its attention on the manufacturing of CNC cutting systems and water jet tables for the automatic die-less cutting, being suitable also for sectors different from footwear production. These equipments will be in fact chosen by well-known companies in the world of fashion and automotive. Destination: Brazil. Atom gives birth to a joint-venture with a local partner in Novo Hamburgo, which will grow into Atom Maquinaria para Calçados in 1993. 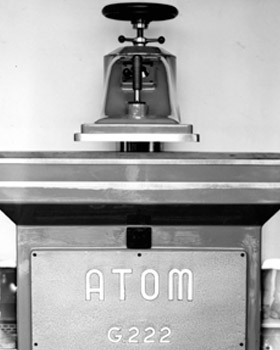 Thus Atom has been among the first companies to understand the huge potentialities of the Brazilian market. It is time for the new generation. The sons of the founders have been able to take the challenge of change, and continue a corporate story of success. The adventure in China starts. Atom gets the business license in the Shanghai Free Trade Zone. Atom opens its first production unit in China, in Fengxian District. 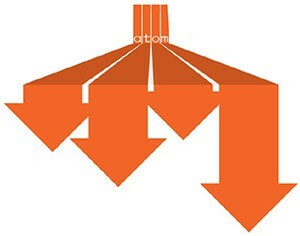 Atom takes over Main Group in Venice, thus reaching 4 production units in the world, in addition to Vigevano, Brazil and China. Atom Group grows by integrating others important businesses of footwear industries to its own production: from the shoe lasting technology of Atom MB, born by the synergy with Molina e Bianchi, to the software CAD/CAM 3d Shoemaster, integrated by the acquisition of UK company CSM3D. To celebrate its 70 years anniversary, Atom presented "Atom: The Cutting Factory", a travelling design exhibition, inaugurated at Triennale di Milano. 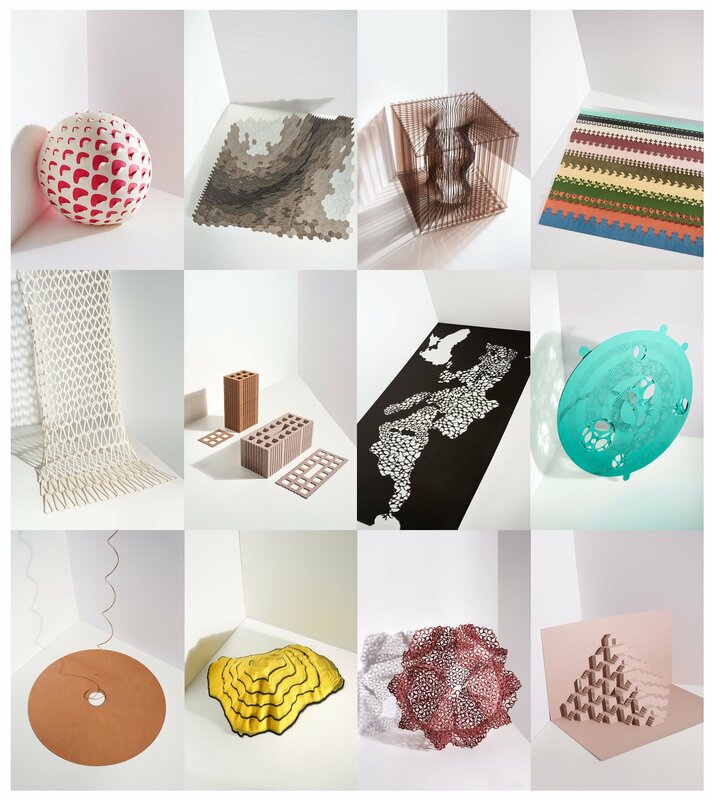 The cut, protagonist of the project, inspired the creativity of 12 designers, who created objects that enhances the technological potential of the cutting machines. A story of technology depicted through creativity.